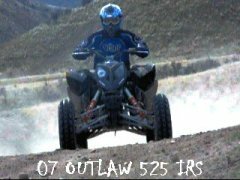 Dirty Foot Mud Ranch is having their next scheduled 300' $$ heads up and bracket races $$ next weekend on 1-1-11. Gather all your riding buddies ,and setup some grudge racing !! they are also planning on having a $$ poker run again on Sunday morning. There is something for everyone, 1800 acres with tons of nice trails to ride, mx track , oval track, huge mud pit areas ,HUGE camping areas, a swimming hole with a zip line, although it may be a little too cool for swimming !! DFMR is a very nice place to hang out and have fun ,bring your whole family and all your friends ,we have a blast whenever we go !! DFMR will open early on Friday @ 12pm and close down on Sunday @ 5pm as usual. On Saturday we will be having 2 different drag races, heads up and bracket racing. The events will start @ 10am with test and tune. This will be the time the bracket racers can determine their dial in time. The heads up racers can work on dialing in the right set up, the test and tune will run for 2 hours ending @ 12pm. at 12pm the track will be prepped, this will last between 30 minutes and a hour. After the break we will start the bracket races. It will be a double elimination race. Following the bracket races we will do some track maintenance and roll right into the heads up races. This will also be a double elimination race. After the races we will present awards, ($ cash $) to the winners then after the scheduled races it's time for some GRUDGE racing. racing each other for the fun of it or put some cash up to make it interesting. Please note that every racer must have at least a helmet ,goggles ,gloves are highly recommended. The only other requirement is a racing number (posted on the right side of the vehicle). If you do not have one we will write your number down on a piece of paper that can be worn on your jersey or race vehicle. The cost for each race is $15 ,of that $10 goes to the winners pot. You may choose to run both bracket and heads up races if you like. Directions from US 27 in Polk County: Go west on Avon Park Cut Off Rd to Singletary Rd and turn left. The entrance to DFMR is approx one mile on the left.